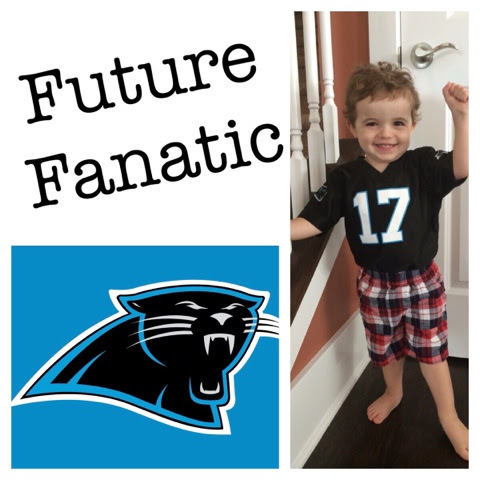 This is my two year old who is become a fast future fanatic of the Carolina Panthers now that we've moved to the Charlotte area. He and his papa Brian cheer and shout for our Carolina Blue clad players. Here he is giving a big 'touchdown!!' shout while sporting his vintage Jake Delhomme jersey. We're several weeks into summer vacation and I'm beginning to hear the whispers of boredom from my 5 year old. 'What are we going to do TODAAAY Mom??' Apparently my fire juggling act from yesterday is going to be a tough one to top... 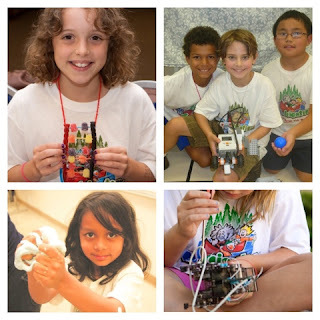 In my search for an experience that was equal parts fun, excitement and education I came across a STEM (Science, Technology, Engineering & Math) camp provided by South Charlotte Club Scientific. 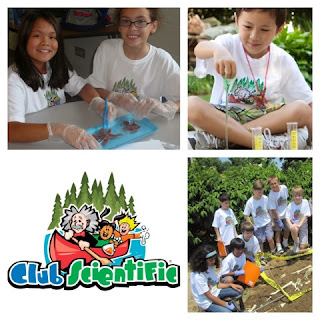 Club Scientific is a hands-on, minds-on, challenging science program for girls and boys (ages 4-14) that lays the foundation for creative minds and problem solvers of the future through art, science and engineering. They believe that every child is a scientist and that they can make children even better scientists! The themes of the camp make ME want to enroll -Jr. Video Game Maker, Little Scientist, Robotics, Jurassic and Little Scientist just to name a few. Why didn't they have this kind of stuff when I was little?? Your budding scientists will carry out experiments, engage in team activities and see just how science works in the real world. 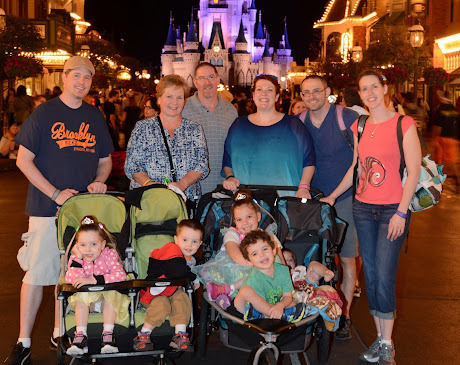 Club Scientific's camp Directors are highly trained college graduates assisted by currently enrolled college students that have been trained by Club Scientific, and have a max 9:1 student counselor ratio. All counselors also have had background checks (yes - I AM that paranoid mama that had to inquire). Lucky for us last minute moms - they still have spots available for their camps running the weeks of 7/28, 8/4 and 8/11. South Charlotte Club Scientific is located at the British American School of Charlotte in Ballantyne, near the intersection of 521 and 485. Camps run from 9:00am-4:00pm with the options for before and after care. Even bigger bonus? When I spoke with the owner she offered a $25 coupon code for all MomAboutCharlotte.com and MomFavorites.com readers with the code: MOMMIES14 at registration! I love me some coupons. I'm a scientist by trade, and I feel that involving your children in the STEM's at an early age and throughout their lives helps them build confidence, develop critical thinking and enjoy learning about their world. This camp may spark the imagination of YOUR future scientist or engineer! You can check out summer camps at South Charlotte Club Scientific here, 'like' their facebook here, or give them a call at 704-566-9001. Club Scientific is providing a camp experience for us to facilitate another blog about the experience at Club Scientific, but as always all opinions are my own.